There are few things better than cornbread in the morning with breakfast or as a side for dinner, but sometimes you don’t have time to hit the store. 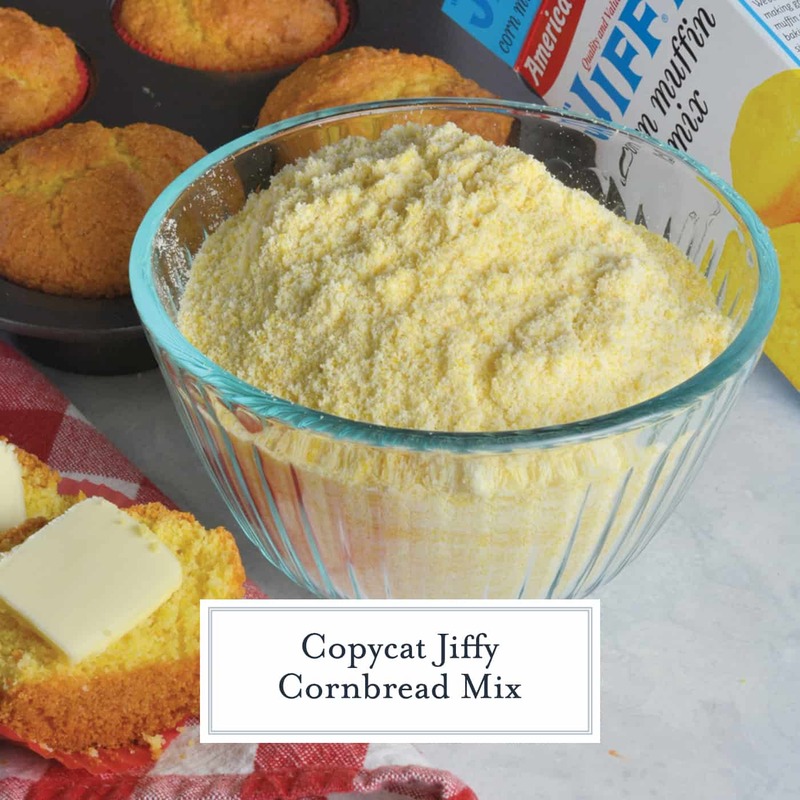 This Copycat Jiffy Cornbread Mix is perfect in a pinch. 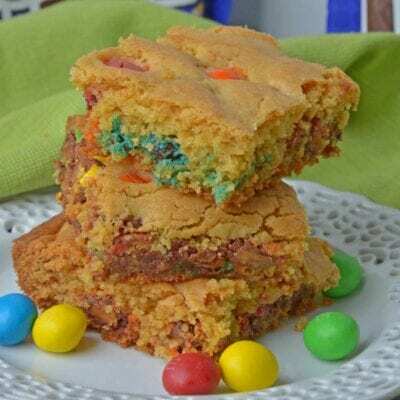 Copycat Jiffy Cornbread Mix is the perfect, sweet accompaniment to any meal. With just a few simple ingredients, you can make your very own mix. I love cornbread! I like it all sorts of ways; with bacon, whole corn, tomatoes, cheese, chiles… just about anything. I don’t discriminate between cast iron, casseroles or muffin pans as long as it gets from the pan to my mouth. 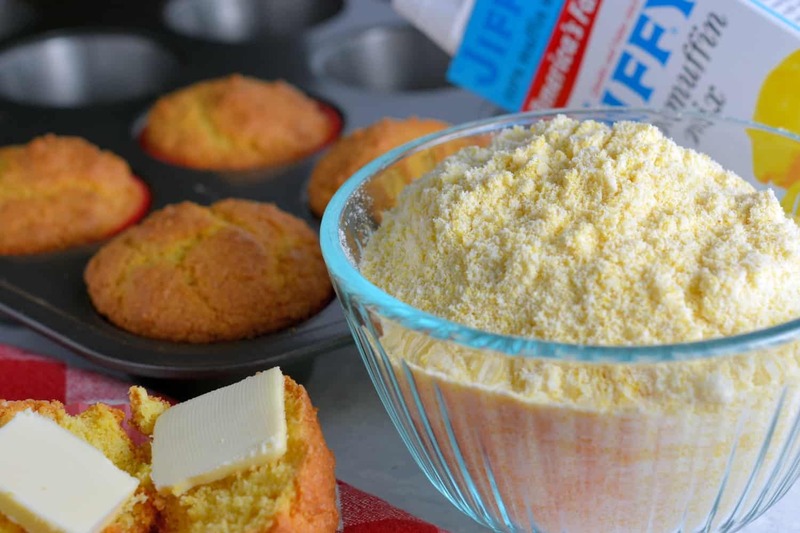 The basis for my cornbread is typically a box of Jiffy Mix. Did you know that Jiffy has been making these convenient mixes since 1930? 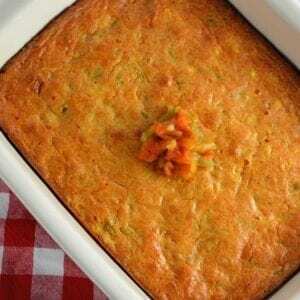 They have certainly stood the test of time and cornbread is one of the stars. 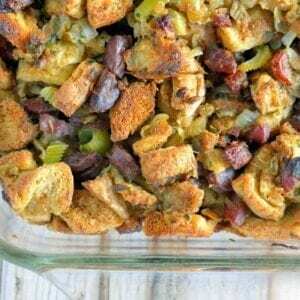 It is one of those dishes so versatile that the possibilities for it are absolutely endless. I run into problems when the craving for cornbread hits and I realize there isn’t any Jiffy Cornbread Muffin Mix in the pantry. What’s a girl to do? Make your own! Lucky for me and my cornbread addicted self, making Copycat Jiffy Cornbread Mix is actually fairly easy and only requires 5 ingredients. I’ll be honest, there is no real incentive to making your own. The actual mix consists of real ingredients and is accessible on any budget. This recipe is more of a backup when I realize I am out and have no time to go to the store. Make this mix and doctor it up as you see fit or leave it plain and garnish it with a pat of butter for a snack. 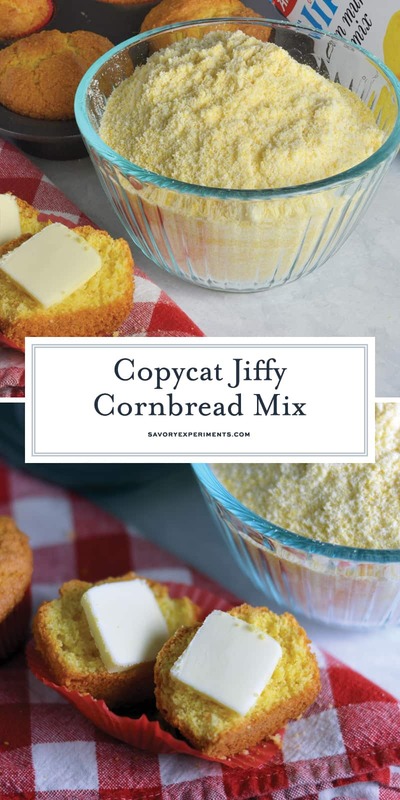 Either way, you will be happy you have this recipe for Copycat Jiffy Cornbread Mix in your back pocket. 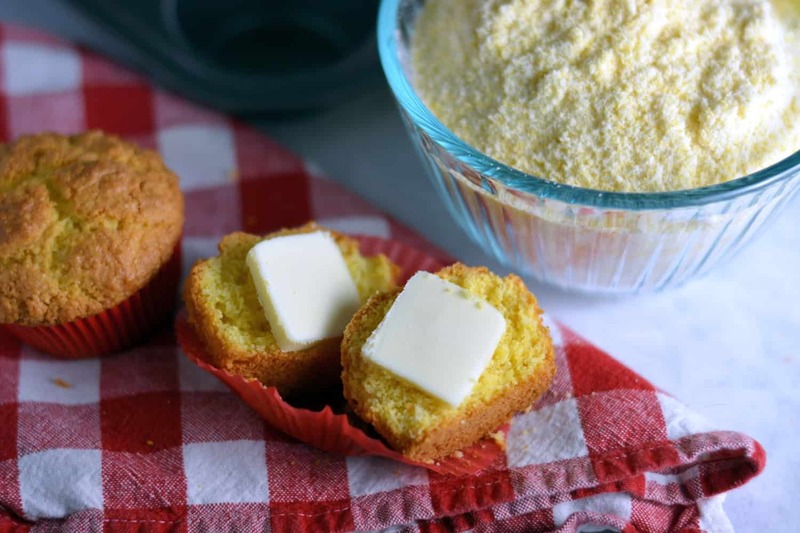 Copycat Jiffy Cornbread Muffin Mix is the perfect, sweet accompaniment to any meal. With just a few simple ingredients, you can make your very own mix. Makes the equivalent of an 8-ounce box of Jiffy Cornbread Muffin Mix. Sift together all ingredients and store in a plastic airtight container. See notes on how to make muffins. To make muffins, add 2 tablespoons vegetable oil or melted butter, 1/3 cup milk and 1 egg. Mix well. 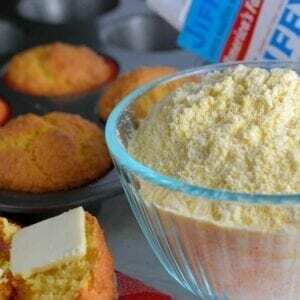 For lumpier muffins, reduce milk to 1/4 cup. Variations: Add 1/2 cup shredded cheese, corn, green chiles, jalapenos bacon or tomatoes. 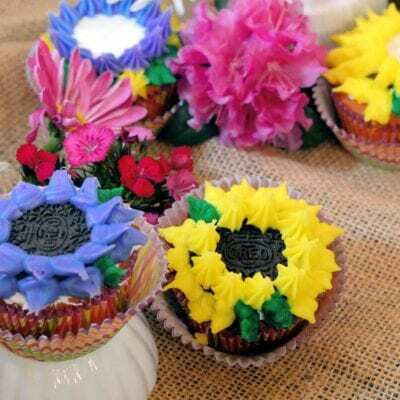 Spoon into 6 lined muffin tins and bake for 15-20 minutes at 400 degrees. If tops start to brown, cover loosely with aluminum foil. Thank you for this. You comment that jiffy is made from real ingredients, but part of the ingredients include unhealthy preservatives and such. Everyone shud want to use this, or another copy cat recipe, to avoid consuming what very well may be detrimental. I will not eat the box stuff although I agree it’s yummy in taste. What lies beneath that most are blind or choose ignorance to, is frightening. 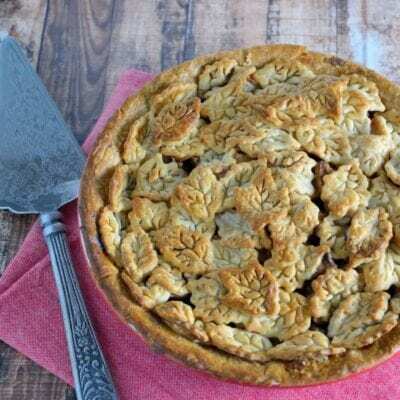 Thanks for your recipe, please amend your write up to include a phase that sez that by using this recipe one will avoid any chemicals or preservitieves that are included in the original box. Thnks! I made this mix and am making it in a regular pan not muffin pan. Hoping it comes out well. It doesn’t seem like very much batter for a little square pan. How many muffins is this supposed to make? 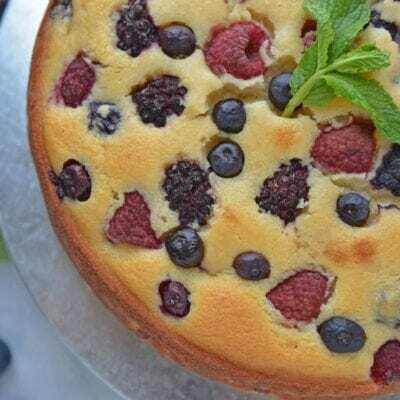 So I need to double this recipe for making it in a pan. Hi Randi! Yep, it only makes 6, which is the same as one of the small boxes of Jiffy mix. It can easily be doubled if needed. Always regular unless otherwise noted. I quadrupled this recipe before measuring the exact amount to use per recipe. How many cups would I need to make a regular batch of the muffins? Hi Helen, about 1 1/2 cups! Enjoy! My family doesn’t like the box jiffy anymore now that I have the cheat recipe.It saves money not having to buy any, when you have the ingredients at home. Thank you or the recipe, I just sub gluten free flour and can then it’s ok for my GF daughter! There you go! Happy Thanksgiving!